Yes, we need mics in every class because there is huge amount of students in class and the voice ecos as the rooms are very big and air conditioner if possible because this is Delhi and it is very hot so which distracts our concentration. Best faculty and delivering it. Library infrastructure can be improved and air condition can be installed. Good remarks have already been written above. Bad remarks include lack of sanitation and excessive vandalism. Management has shut its eyes and ears because the main reason for this is the behavior of students. 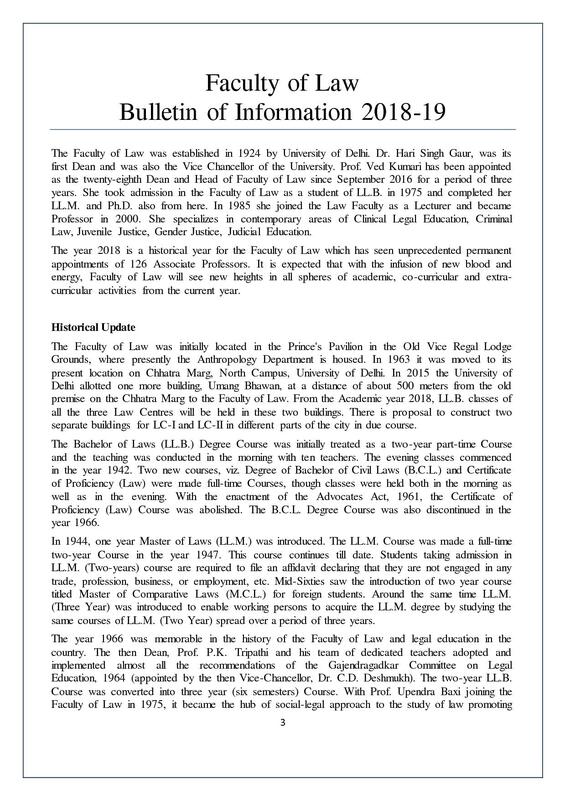 The Faculty of Law, Universty of Delhi was established in 1924. The Law Faculty is said to be one of the largest law schools in India. 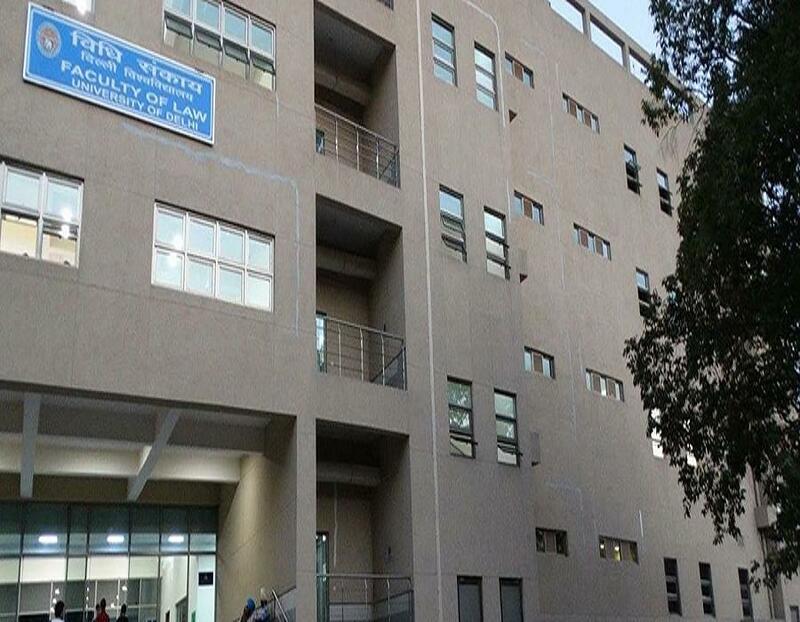 It was established as part of the Delhi University under the Faculty of Law. The college attracts students from every state of India and more than twenty countries of Asia, Europe, America and South Africa. Motto of the college is “Educate, Evolve, Excel”. 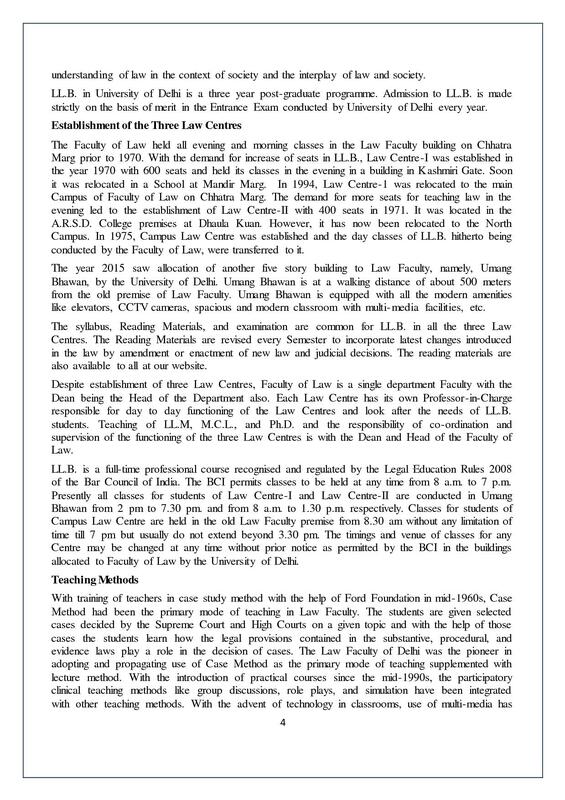 Campus Law Centre, a dynamic leader in the field of legal education has produced many Supreme Court and High Court Judges, distinguished jurists, leading advocates, cabinet ministers and legal luminaries. 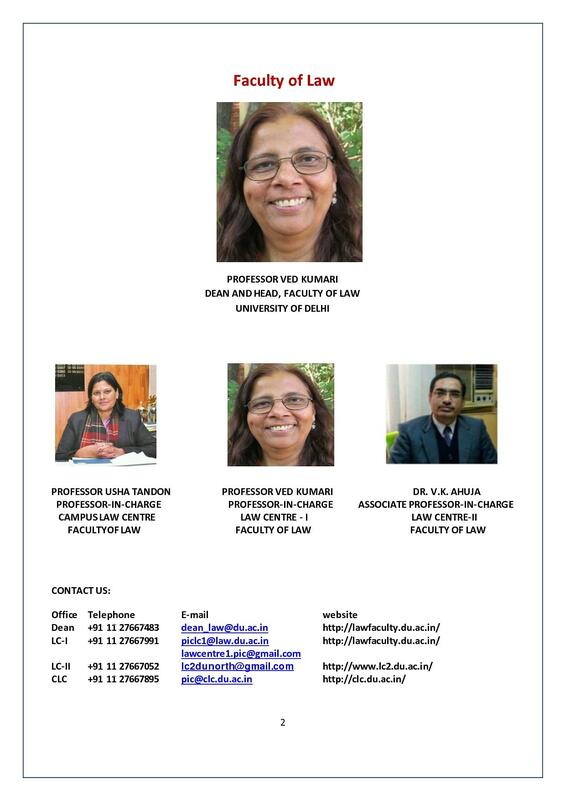 Shri Kapil Sibal, Minister of Law and Justice and Communications and Information Technology, Justices Vikramajit Sen and Arjan Sikri Judges, Supreme Court of India, 31 sitting Judges of Delhi High Court-Shri Mohan Parasaran, Solicitor General of India -Ms. Alka Sharma, Registrar University of Delhi are some of the glittering stars of Campus Law Centre. It has been consistently ranked in the top three laws schools of the country and finished at the second position in the year 2012. There are twelve hostels for male and female students who are pursuing full-time courses in the University. Structure of LL.B. Entrance Exam-The Entrance Test Paper will have 175 Objective Type Questions with Multiple Choice Answers. Each question carries 4 marks and wrong answer deducts 1 marks. Generally cut off varies between 300-450 for all the three centers. Structure of LL.M. Entrance Exam-The Test paper will consist of 175 Objective Type Questions with Multiple Choice Answers in the following areas- Constitutional Law of India, Jurisprudence, Law of Contracts (General Principles), Law of Torts, Criminal Law, Family Law of Marriage & Divorce and Public International Law (Law of Peace). Placements: The Faculty Placement Council got tremendous response since its inception from the big corporate houses and multinational companies, leading law firms, LPOs, KPOs, NGOs and international publishers. The students got the opportunity as interns at the National Human Rights Commission, National Commission for Women, Supreme Court and High Court of Delhi, Central Information Commission, Oil and Natural Gas Commission. K K Luthra International Moot court by Campus Law Centre. NHRC & LC-1 Moot Court on Human Right By Law Centre-I. Delhi NCR Moot Court by Law Centre-I. Legal Service programme -The Faculty has been running a Legal Services Programme .since the early seventies. The programme is sustained by the voluntary participation of the law students, teachers and lawyers who are inspired by the legal aid ideals. Scholarship: The University has also received donation for institution of Sohan Lal Sethi Memorial Scholarship. The scholarship consisting of Rs. 25,000/- in cash is to be given to the students securing highest marks in LL.B. I, II, III, IV and VTerm Examination in each year. Hi Thupten, You may please check the official website i.e. http://lawfaculty.du.ac.in/ for getting LLM Course detail. Do you not offer BA LLB? i. For General candidates, Graduate/Post-Graduate Degree from the University of Delhi or any other Indian or Foreign University recognized as equivalent by the University of Delhi with at least 50% marks or an equivalent grade point in the aggregate in either of them. ii. For other backward classes (OBC) candidates, Graduate/Post-Graduate Degree from the University of Delhi or any other Indian or Foreign University recognized as equivalent by the University of Delhi with at least 45% marks. iv. Relaxation of 5% marks in the minimum eligibility prescribed for general candidates will be allowed to widows/wards of ex-servicemen as prescribed and wards of serving personnel (CW) category who are in receipt of Gallantry awards. Admission is based on Entrance exam. I AM 38YRS OLD AND WANT TO DO LLB FROM FACULTY OF LAW,UNIVERSITY OF DELHI. KINDLY ASIST. For other backward classes (OBC) candidates, Graduate/Post-Graduate Degree from the University of Delhi or any other Indian or Foreign University recognized as equivalent by the University of Delhi with at least 45% marks. Relaxation of 5% marks in the minimum eligibility prescribed for general candidates will be allowed to widows/wards of ex-servicemen as prescribed and wards of serving personnel (CW) category who are in receipt of Gallantry awards. I want to apply for LLB. completely knowledge about llb cource. Relaxation of up to 5% marks in the minimum eligibility prescribed for general candidates will be allowed to the candidates belonging to the physically handicapped (PH) category. DU LLB Entrance Exam is compulsory to take admission in LLB program. Hello...i hve a question...can we apply for this DU LLB exam jst after passing 12 std...?? i simply wants to get enrolled in one of the best collages in law ug programme ! help me to find and apply for. 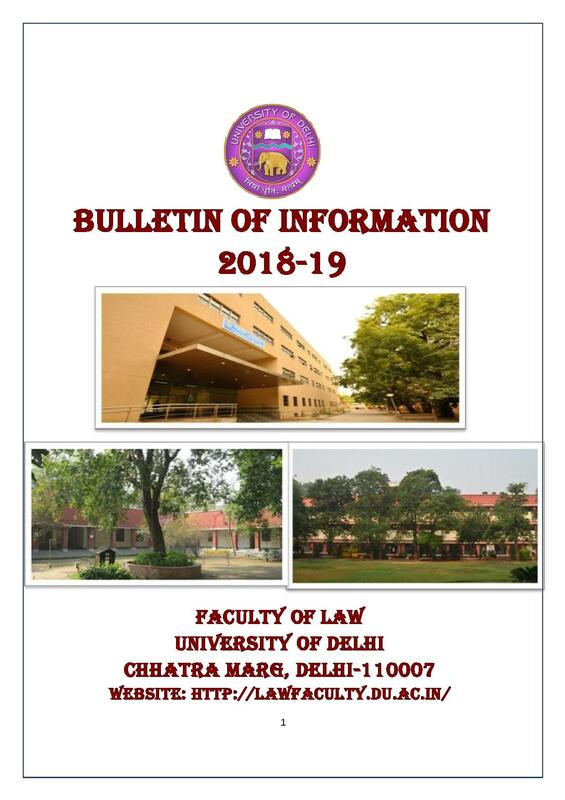 Delhi University LLB Entrance Examination (DU LLB) 2018 will be released by Delhi University (DU) through online mode. Scorecard of each candidate can be individually checked by login into the account, while a consolidated online result sheet of exam will be published by DU. DU LLB 2018 Admit Card will be issued in the month of June 2018, a week prior to the examination. Candidates can download DU LLB 2018 Admit Card by accessing their login accounts through official link of the university. DU LLB is a university level entrance exam conducted once every year. DU LLB is conducted by Faculty of Law, for the candidates seeking admission to 3- year law program. Interested candidates can fill the application form online from the official website. "Best faculty and delivering it. " 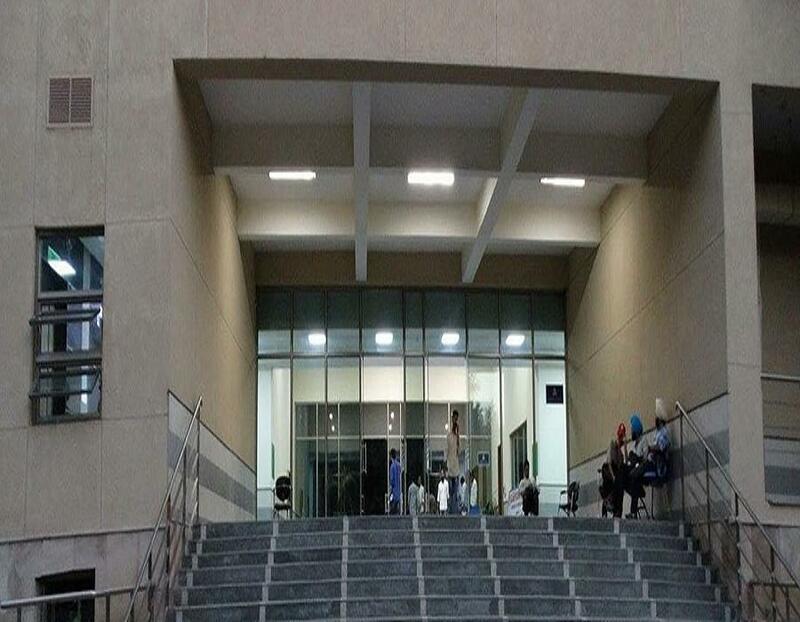 DU LLB entrance exam, this is the best and most reputed law college of India and i ranked under 1000 in the entrance exam. Only entrance based admissions and eligibility criteria is above 50% in qualifying exam i.e. Graduation. 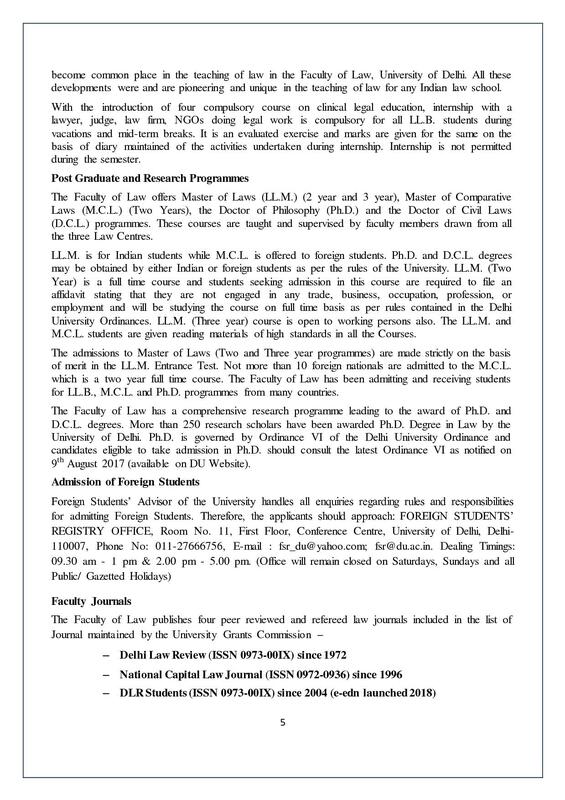 Entrace is conducted by Law Faculty, Delhi University every year in May/June. I chose this course over M.A. Economics because LL.B. is a professional course and was preferred over an academic course. The admission process is called counseling in which students are given admission on the basis of their rank.